If you are a parent, you’ve likely tackled the back-to-school list: new supplies, sneakers, backpack, and lunch box. How about what goes into that lunch box? Amidst hectic school-year schedules, here are some tips to make sure healthy packed meals aren’t an afterthought. 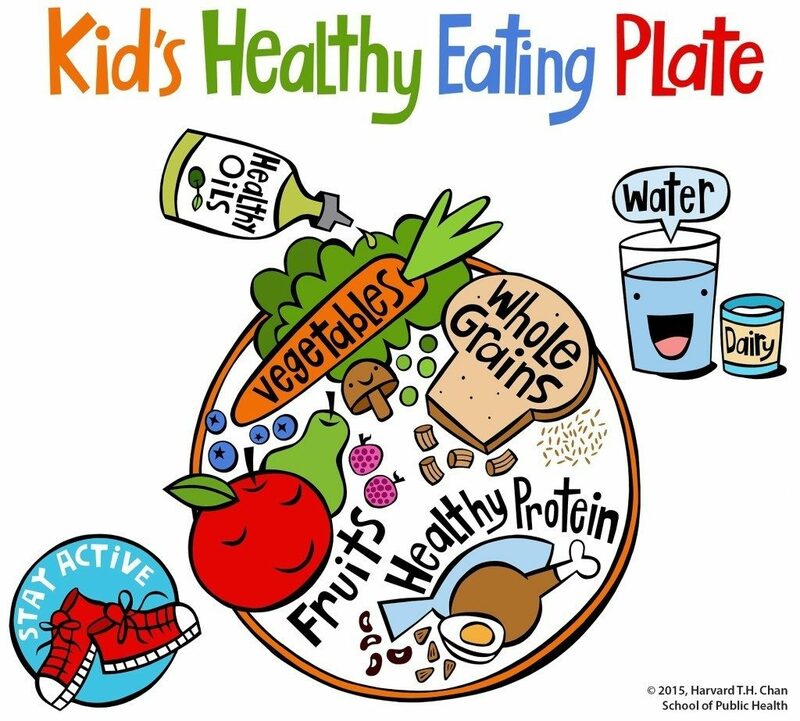 The Kid’s Healthy Eating Plate (Shown below) was created by Harvard nutrition experts as a fun and easy guide to encourage children to eat well and keep moving. The plate guidelines emphasize variety and quality in food choices. Healthy fats and a small amount of dairy (if desired) round out a tasty meal that will fuel an active, healthy lifestyle. 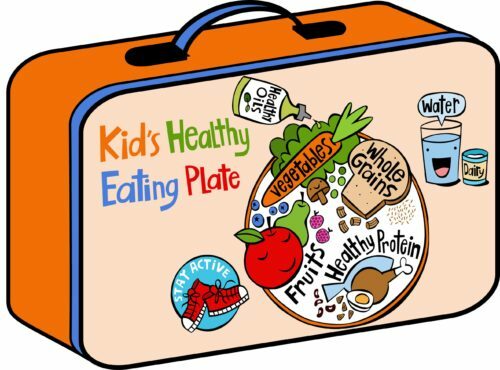 When packing your child’s lunches, let the Kid’s Healthy Eating Plate guide and inspire you. Remember two points: choices and presentation. We eat with our eyes so if it appeals to the eyes it will certainly appeal to a hungry tummy. Other ways to ensure you have a happy and healthy eater is by having kids participate in food prep! Younger children can help to wash fruits and vegetables. Older children can learn how to use a knife on softer foods. Or have children pack their lunch boxes the night before. Display choices of protein, vegetable, fruit, etc. and let them create their own meals based on the Kid’s Healthy Eating Plate.